It’s August, and for many folks in Davis, that means moving time. When moving, we typically try to downsize and get rid of the items we don’t want or need anymore. To make this easier, see the short list below of where you can donate or recycle typical household items. Mattresses and box springs: We are excited to announce that Recology Davis now accepts mattresses and box springs for free drop off at their recycling center, 2727 Second St. in Davis. Mattresses and box springs can be dropped off for recycling during the CRV center buy-back hours: 9:30 a.m. to 2 p.m. Monday through Friday and 8 a.m. to 4 p.m. Saturday. 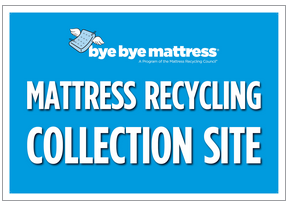 The Yolo County Central Landfill also accepts mattresses and box springs for free recycling every day. Visit YoloCounty.org/Landfill. Items not accepted include: sleeping bags, pillows, unattached mattress pads and mattress toppers (even items with resilient filling intended to be used with or on top of a mattress), car beds, crib or bassinet mattresses, juvenile products or the pads used for such juvenile products, waterbeds, air mattresses that contain no upholstery material (such as a camping mattress), sofa beds and futons. In addition, severely damaged, twisted, wet or soiled mattresses or mattresses with bed bugs or other organisms will not be accepted. Appliances: Refrigerators, stoves, ovens and other appliances in good condition can be donated to some non-profits. Check out the online Recyclopedia at Where.DavisRecycling.org to search for reuse options. The Yolo County Central Landfill will recycle appliances that do not work — fees may apply. Cardboard: Flatten and stack cardboard boxes on the ground next to your recycling cart on pick-up day and Recology Davis will pick them up for recycling. You can also take your cardboard to the Recology Davis recycling center at 2727 Second St.
* Yolo County Central Landfill, 44090 County Road, 28H. Hazardous Waste: Cleaning products, burned out fluorescent bulbs, batteries, propane canisters, medicines, paint and other chemicals are illegal to dump in the trash. Bring batteries, fluorescent bulbs and tubes, household cleaners and other toxic products to the Yolo County Central Landfill for free recycling every Friday and Saturday from 7:30 a.m. to 3:30 p.m.
Local thrift stores accept a wide variety of reusable goods. Please call to verify drop-off times and accepted items. * Yolo County SPCA Thrift Store, 920 Third St. (530-758-0544). Post items online that you would like to sell or give away. There are a number of websites that provide free postings to give away or sell items, such as local groups like FreeCycle.org, Nextdoor and a few Davis Facebook groups (Davis Kids2Kids Resale, Buy Nothing Davis, Davis Sale or Trade, Davis Yard Sales, etc.) or Sacramento Craigslist. As always, please use caution when selling items online. Please be respectful and do not unload your unwanted items in someone else’s trash can or dumpster. Please be responsible as you are moving and help keep our city beautiful by donating your unwanted items, instead of leaving them on the street, sidewalk or in your front yard. Leaving furniture, mattresses and other household items in front of your property or on the street and sidewalk is a violation of City Code and may be a safety hazard for bicycles and pedestrians. Code violations may be reported by calling the Code Compliance Hotline at 530-757-5646 or via the online customer service center at CityofDavis.org. For more information, visit DavisRecycling.org or email PWWeb@CityofDavis.org.